Pregnancy is a BEAR! 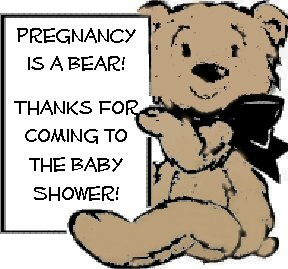 Print this cute and fun Teddy Bear Card to use for your baby shower favors to thank people for coming to the party. There is one with wording and one that is blank so you can write in your own message if you wish. Follow the printing instructions below to print these out in seconds right from your computer - for FREE! Punch a hole in each one, tie it to your favor and you are set. Hope you like 'em! 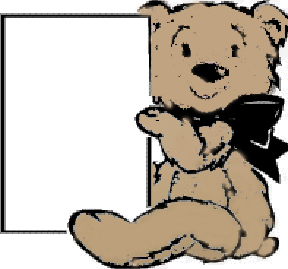 You have several options to print this Teddy Bear Card. Whichever way you choose, I suggest that you print these cards on a thicker cardstock for a sturdy card. The EASIEST way to print this card is to open this pdf Teddy Bear Card and print it from there. Best Wishes on Your Teddy Bear Party!